OGP UK will be attending the free to attend “Inspiration through Innovation” event this September, hosted by SECO Tools UK Ltd. at their site in Alcester, where they promise to bring together the latest innovative, proven products and solutions from across the industry. Here our team of industry professionals will carry out live demonstrations showcasing the latest innovations in multi-sensor metrology solutions and software. As partner to the world’s pioneer of advanced video measurement in CMM equipment, our team will be on hand during the two-day event to offer support and advice as well as an industry insight into current and future innovations. Displaying OGP SmartScope and VICIVISION equipment, using our advanced market expertise, we will conduct a live multi-sensor measurement demonstration using the SmartScope CNC 200 measurement system featuring the TTL (through-the-lens) Laser and a Touch Probe sensor. Also on display will be the compact VICIVISION MTL1 optical measuring machine for turned parts. Furthermore the OGP UK team will also be holding the first live demonstration of the new ZONE3 advanced metrology software. 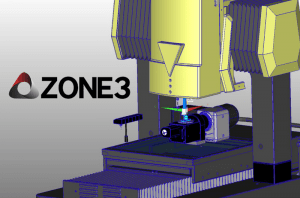 Undeniably OGP’s most effective software yet, ZONE3 is used in conjunction with SmartScope systems to achieve faster, more comprehensive measurements. As your UK partner for OGP measuring equipment we provide invaluable expertise that is passed on to our customers to ensure you maximise your inspection throughput. We have over 20 years of experience in delivering world-leading multi-sensor co-ordinate measuring machines as well as support and service to customers nationwide. Bring along one of your parts to the event and we will demonstrate how easy it is to measure your complex components on our SmartScope machines. Additionally, knowledge gained from SECO’s market leading exhibition alongside comprehensive seminars throughout both days will offer a priceless opportunity, especially by being able to see and interact with a variety of live demonstrations, peers and colleagues.